Unless otherwise indicated, all materials on this MacTavish History page are COPYRIGHTED under the Laws of the United States of America. All Rights Reserved to the authors or Clan MacTavish. –The Household of a Scottish Highland Chief was anciently composed of many persons who served the Chiefly family. The number of officials in a household depended upon the size of the clan and the importance of the chief. The most common were the Ard Ghilleanan Tighe (Clan Gentlemen) usually closely related to the chief. The Am Fear Brataich (Standard Bearer, who carried the Chief’s Standard, even in battle, who was escorted by his son). An Seanachaidh (Seannachie) or Am Bard, who was ranked as a chieftain of the clan (weather in truth or not), and kept the records, genealogies of the families, history of its members, made pronouncements at ceremonies and clan gatherings, and inaugurated the next Chief (Tanist or Chief in Waiting). If there was a separate Bard, he was ranked below the Seannachie in status. There were as well a multitude of other officials in what was called the Chief’s tail (household). You may find all the household offices listed in the book, The Clans, Septs, and Regiments of the Scottish Highlands, by Adam and Innes, if interested. The An Gille Mor (Armour Bearer), as well as the Luchd-Tighe (Body Guard) could be roughly translated today as the Chief’s Lieutenant. –While multiple officials attended the Chiefly family, they only did so at certain times of the year except for a few, who were at the chief’s calling at all times. Most everyone even though holding a position, worked his/her appointed land or position as a farmer or cattle herdsman, milkmaid or shepherd, weaver or baker, during most of the year. Each member, however, had the chief’s ear – in effect an advisor. –The Seannachie was usually a hereditary, permanent position, and he would pass on all his knowledge to either his son, or a nephew, who would be his replacement at his death. He was always present in battle, but no opposing clan’s warrior would kill him, for it was considered extremely bad luck to do so. 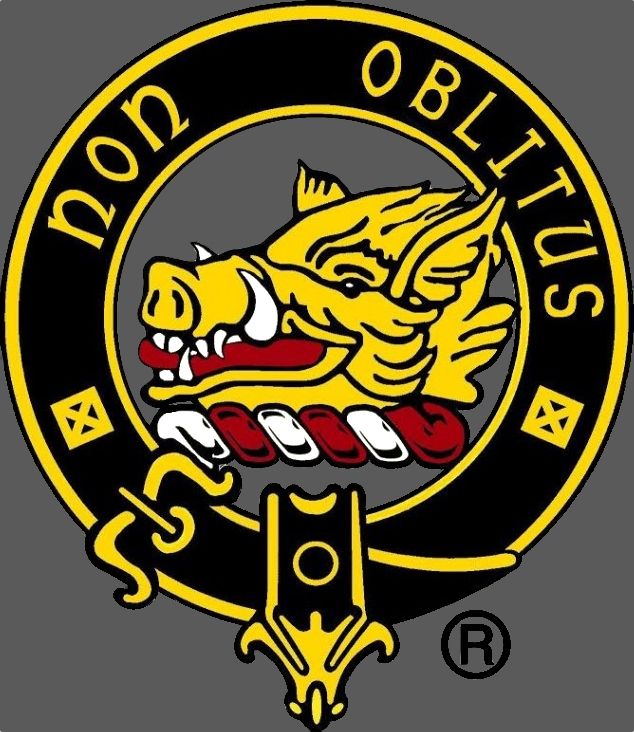 The position ceased to be at the downfall of the Clan System after the Battle of Culloden, in 1747, when England crushed the Jacobite cause in Scotland. The Chiefs were then reduced to nothing more than landlords, their powers ceased. 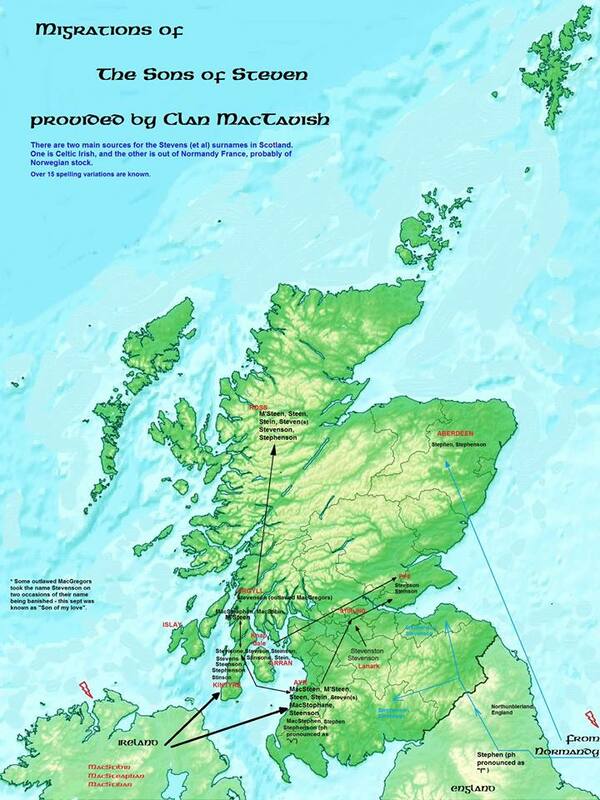 For over two centuries there were no seannachies, but many Highland clan chiefs revived this position, in the late 20th century to keep alive the history of their clans. 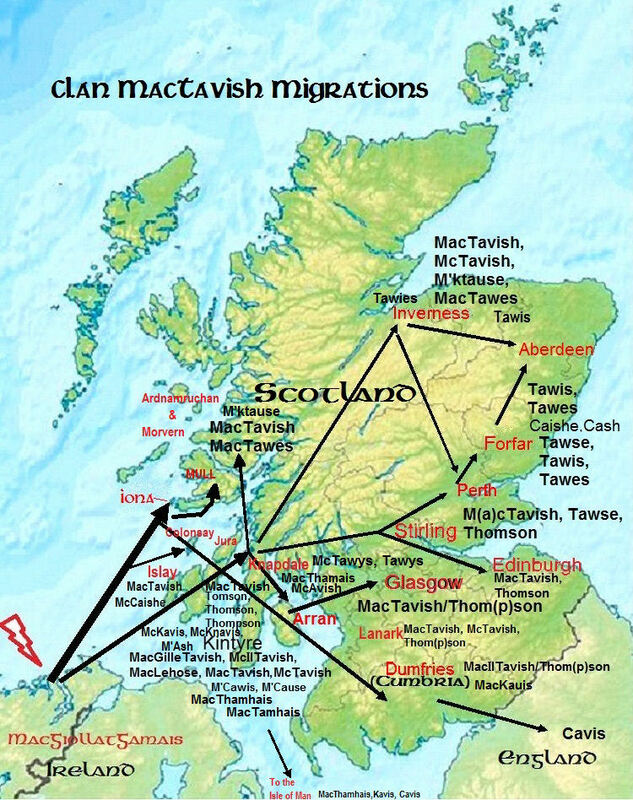 –The Clan MacTavish Seannachie position was resurrected late in 1998 by the late Chief Dugald MacTavish of Dunardry; the first modern Seannachie was Micheil (Gaelic for Michael) MacThomhais, who resides in Nevada, USA. Micheil stepped down from this position after compiling an abundance of clan history which had been lost for over five hundred years (yes that long). I became the second modern MacTavish Seannachie in 2005, when I was commissioned to the position by Chief Steven MacTavish of Dunardry. I had been Lieutenant to Chief Dugald from 1999, until his death in 2005, and when Micheil stepped down, I inherited much of the information that Micheil had discovered, as well as other related material which had been compiled by many MacTavish/Thompson relatives since 1951. I have conducted well over 20 years of research myself on MacTavish – Thom(p)son families, with some additional research on MacTavish Septs. The work I inherited, plus my own and other family member research resulted in the production of the book, History of Clan MacTavish (2012), where the major points of MacTavish clan history are explored. Chief Steven was instrumental in having me write the history for posterity, encouraging me when the task seemed overwhelming. –Today, a seannachie serves much the same purpose as his ancient predecessors, acting as the clan historian, researcher and archivist, preserving the historical account of the clan and chiefly family, or other families within the clan (in affect a genealogist as well). In essence the seannachie is the “keeper of the conscience of the clan”. 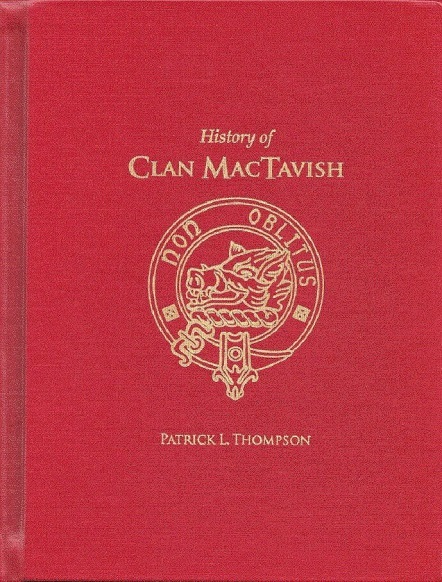 The History of Clan MacTavish was published and copyrighted in 2012. Click on each file to reveal link.